It’s not easy coming up with dinner every night, especially when there are school runs and work demands and picky eaters. Fortunately there’s an app for that. A lot of them. 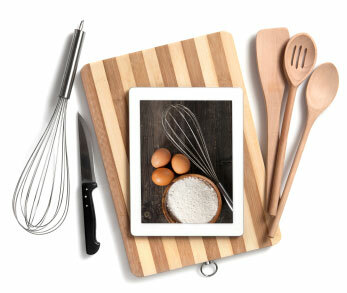 When you love food, exploring all the excellent cooking and recipe apps available for mobile devices is a real treat. Everything looks delicious and the various presentations, categories, and photos are a cook’s dream. We’ve collected 13 of the best for you, for everything from a blue cocktail to a perfectly prepared steak to spaghetti alla carbonara the Italian way. Bon appétit! 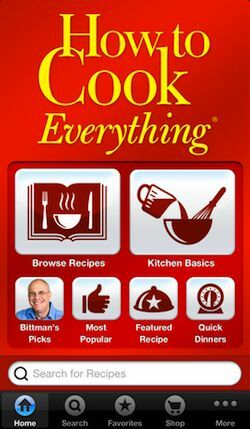 Packed with 2,000 recipes from Mark Bittman’s famous cookbook How to Cook Everything (Revised 10th Anniversary Edition $35.00, $20.24 on amazon.com ), this app walks you through essential cooking techniques like grilling, roasting, poaching and cooking rice. And then there are the useful guides to essential equipment like knives, pots and pans and kitchen tools. The recipes are very specifically categorized for easy navigation, and they're accompanied by Bittman’s signature adaptations and other uses. Who can resist spreading roasted-pepper-and-garlic cream cheese dip on pizza? Shopping/Grocery List: Yes. Shopping lists are easily created from recipes with the touch of an arrow. You can also share recipes on Facebook, Twitter or email, as well as add them to your calendar and favorites. Recipe Box: There is a spot for favorites and recent searches. This app from the cable network of the same name organizes its content by Chef, Collections (appetizers, chicken, cocktails, etc. ), and Healthy Every Week. This last section includes clever categories for busy, conscientious cooks like Weeknight Meals, Lighter Comfort Food, Snack, and Dinner Salads. Shopping/Grocery List: Yes. Shopping lists are easily created from recipes with the touch of an arrow. You can also share recipes on Facebook, Twitter or email, as well as add to calendar and favorites. Recipe Box: Yes, includes a notes section, and a strikethrough feature, which lets you cross off ingredients as you use them. Cool Extras: A feature that allows you to compare two recipes for time, ingredients, level of difficulty and deliciousness rating. There’s also a timer for multiple courses and a basic measurement converter. Big Oven's 250,000 recipes are completely searchable and organized with mad precision such as Menus which breaks down recipes by meal and event and a similar feature dubbed Recipe Collections. The Use Up Leftovers feature allows you to enter an ingredient that you need to use up and gives you a variety of recipe options. I entered ground turkey and easily found five good recipes. There’s also Recent Raves, which includes recently popular recipes. Big Oven's recipes are all user submitted, so it’s key to read reviews closely and go with recipes that have been tried a lot. Recipe Box: There are four different ways to organize your recipes. Cool Extras: A feature called RecipeScan lets you upload photos of typed or handwritten recipes, which BigOven will convert to digital text. Most of Big Oven’s extras have a monthly fee of $1.99. All the recipes from America’s Test Kitchen and articles from the magazine, broken down into familiar categories and techniques. 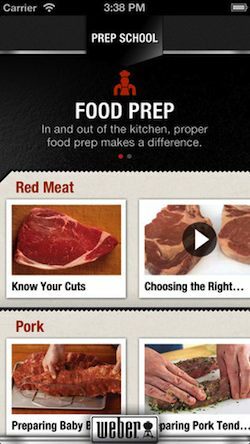 The app has limited content, but if you’re a member (sign up at cooksillustrated.com), you have access to the entire library of recipes, plus video, and your app account will sync with your web account. There is a 14-day free trial membership. Shopping/Grocery List: Yes. Shopping lists are created from recipes with the touch of an arrow that also allows you to email the recipe. Recipe Box: Yes. Called Favorites, you can save recipes here and add individual ingredients to your shopping lists. Cool Extras: A timer that helps you manage the timing of multiple courses. Are you ready for 30,000 chef-generated recipes, primarily curated from food magazines? The navigation includes categories like Winter Cocktails, Kid-Friendly Mains, I Cook Like A Pro, I Can Barely Cook, Oscar Party Snacks and Super Bowl Party, among many other clever choices that make searching for a recipe easier and more fun. Their trusted fork ratings, not only rate the dish, but tell what percentage of people would make it again. Shopping/Grocery List: Yes. 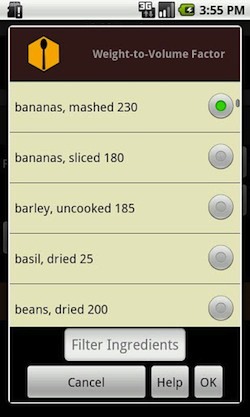 Shopping lists are easily created from recipes with the touch of a plus sign. You can also share recipes on Facebook, Twitter or email. Recipe Box: Yes, for $1.99 you can sync your saved favorites with the Epicurious Recipe Box for use on your mobile device and your computer. Cool Extras: The search feature includes additional categories like Dietary Consideration and Season. 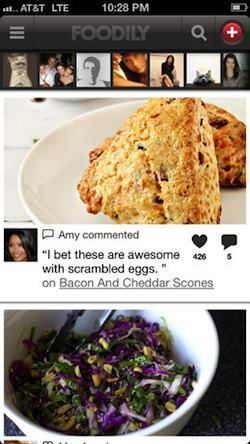 Foodily is like Facebook mixed with Pinterest for food. Follow like-minded chefs, foodies and bloggers for their recipes and pictures in an evolving feed. The photography is beautiful and the recipes are from reliable outlets. A great source for ideas, but a bit cumbersome and glitchy. Foodily.com is more user friendly. Cool Extras: Faves, lists and discussions. Oh my. If you don’t scroll through here and find 10 things to make in 10 seconds, you aren’t trying. Gorgeous snapshots of gorgeous meals. Just tap and you’re taken to the blog responsible for the recipe. A fantastic way to find new recipes and new food blogs to follow. The winter fruit salad recipe with lemon poppy seed dressing immediately caught my eye. Cool Extras: Categories that break it down, if you don’t have time to just scroll the pictures; a randomize button to mix up the options; a spot for your favorites and a Popular vertical that includes those recipes that have been repeatedly gawked at and/or favorited. Price: Free on iTunes. Android users can head over to foodgawker.com. Every cocktail under the sun organized many different ways, including base drink, type, theme, and color. (Green Russian, anyone?) There’s even a button that picks a random cocktail for you. Fun if you have a full bar at your disposal! There’s a shopping list that generates a list of liquors and mixers for you, prices it out and tells you what you can make. 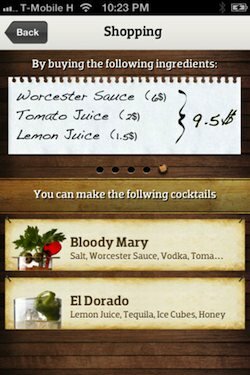 A neat tool called Cabinet letse you select the ingredients and then get cocktail suggestions. It’s not the fullest bar, but it’s still cool. Price: Free on Google Play and iTunes, Most of the theme packages are $0.99. Weber offers not only many, many grilling recipes and tips, but also includes very valuable information on selecting the right cut of meat, how to set your coals and how to select the best fuel. The design is user friendly–each recipe can be added to favorites and grocery lists and with a tap of the chef icon, the app displays links to related articles and videos on technique in the Prep School. This section gives lessons on de-veining shrimp and preparing ribs, among other very useful information. This pricey app from celebrity chef and restaurateur Mario Batali covers all manner of regional cooking from Italy, The big draw for this app is the library of videos, which are so useful when learning to cook. In the early days of the Food Network, when Batali first gained fame, many, many early adopters of the home cook movement, learned technique from watching great chefs like Batali breakdown recipes and put ingredients together. It’s like having a cooking teacher in the kitchen with you! This wonderful app from Food52 has an answer for all your food questions. It will get you through a dinner party disaster, before anyone even knows there is a disaster. 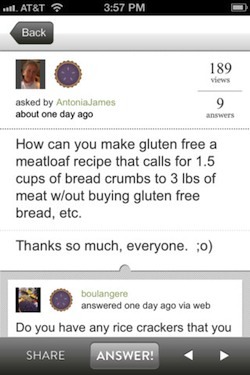 Also, you can help others by answering questions with your own kitchen knowledge! It’s wonderful. Meanwhile, Food52.com is one of the best user-curated food sites around. The recipes are gourmet, but accessible, and nicely vetted by users. Also, the ability to save a recipe that interests you is so simple, but so welcome. The website also has a Hotline section where the community answers any specific questions you might have. This recipe covers everything from volume to metric conversions to temperature. Plus, you can easily calculate ingredient measurements when scaling recipes. An invaluable tool for cooks of every level. A straightforward app that comes in very handy when you’re in the middle of making something and realize you forgot to buy, say buttermilk. It is broken down by most imaginable categories, which makes it quickly navigable, which is just what you need when you are mid-creation. 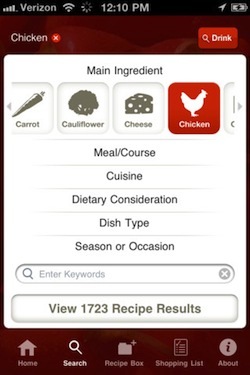 This app is from Gormaya, which makes several other instructional cooking apps with varied success. 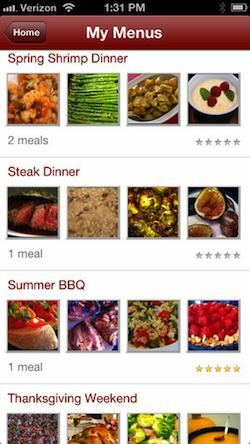 We hope one or more of these apps helps you with your next meal or party. Whether you are looking for inspiration in the kitchen or detailed menus when you are entertaining guests, there's an app to help you pull it all together to the delight of your family and friends.